Looks like Apple has poached yet another Nike man. 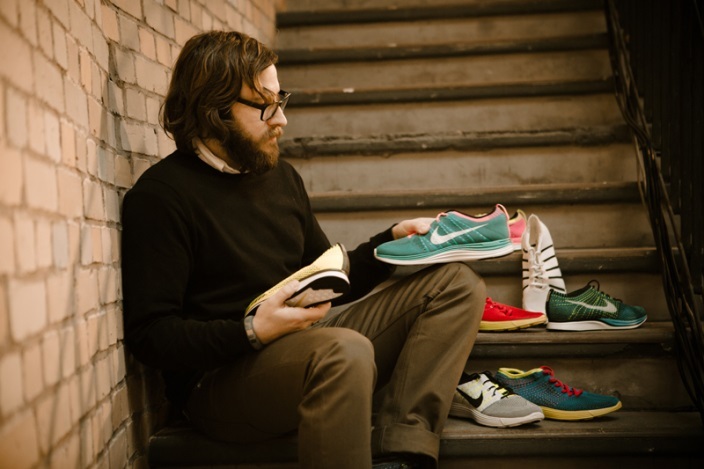 This time, it’s Ben Shaffer, who was the Studio Director of Nike’s Innovation Kitchen, the company’s R&D labs credited with highly innovative product designs, notably the FlyKnit shoe. Early reports mention him being a part of the FuelBand project, but Fast Company has since set the record straight. But why would Apple hire a shoe designer? Apple’s latest hire from Nike isn’t as clear cut as its previous poach, Jay Blahnik, who was involved in almost every Nike+ project, including the FuelBand. Shaffer’s role at Nike focuses solely (pun not intended) on “footwear innovation”, which appears to be a rather befuddling development on Apple’s part. Shaffer’s hiring also led to rumours that Apple is further exploring the idea of a “smart shoe”, which includes a sensor and alarm system that can be embedded in footwear, and notify users when they are worn out. Apple has previously applied for a similar patent as early as January this year. But ultimately, it looks like the more logical reason may be Shaffer’s similar approach to design with Apple. 9to5Mac notes that Shaffer’s team worked on 195 major iterations the FlyKnit running shoe the Innovation Kitchen team went through. The decade-long experience with Nike – who was named the most innovative company in 2013 by Fast Company – may also be a major reason. Whether or not he will be joining the much-rumoured iWatch team is as yet inconclusive.